Is it the golden age of superhero flicks? It may just be. Both Marvel and DC, the superhero homesteads we are most familiar with, have a very impressive line up of films scheduled for the coming years. And Marvel has done one better, teaming up with Netflix, one of the best things about the internet, to create a stunning series of shows. ‘Daredevil’, starring Charlie Cox of Stardust fame was a great hit, and the follow up, Jessica Jones is, dare I say it, even better. Jessica Jones is the superhero I’ve been waiting for. She is smart, she is strong and she is a woman. She walks around Hell’s Kitchen in practical jeans and tops, donning a leather jacket for the cold. She is a hard drinker (one of her neighbours calls her a ‘lush’), but she doesn’t let it interfere with her work as a private investigator. And she is damn good at her job. 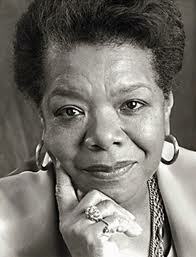 What did I love about her, apart from all the above qualities? She is so amazingly well drawn. Krysten Ritter has really done a remarkable job of portraying the deadpan, tortured woman with a terrible past, one that involves mental and physical violation at the hands of David Tennant’s creepily good Kilgrave. Ritter flits between intense vulnerability, thinking about her days of slavery to the ‘Purple Man’, and a resolute, bitter strength, determined to end the threat he poses to everyone, no matter what it might cost her. I was half an episode in when I texted a friend, ‘I love this woman.’ I followed it up with ‘No, I really love her. I am actually sexually attracted to her.’ I watched Jessica Jones’s story with bated breath, hardly able to bring myself to stop, reminding myself that unless I did, I wouldn’t have any more for the next day. Was it the writing? Hell yes, it’s great writing. The acting? Of course. The show is stocked with amazing portrayals—from Mike Coulter as a brooding, tragedy-shadowed Luke Cage to Colby Minifie as the high-strung, extremely eccentric Robyn. The villain who horrified me at the same time that he made me feel his sense of acute isolation? David Tennant is always a treat, and as Kilgrave, he makes you feel for his character, at the same time that you utterly despise him. But combined with all of that, combined with the great storyline, the drama, the suspense, the score (what an opening sequence), it was the joy of seeing this strong, powerful woman take on the person who had made her most vulnerable. It was seeing her reach out to a best friend, not just at her weaker moments, but all the time—keeping her looped in, knowing that Trish was always there for her when needed. It was the fact that this relationship, not the one between Jessica and Luke, nor even the antagonistic one between her and Kilgrave, but the one between the best friends who grew up with and were always there for each other, that defines the series. Episode 1 shows Jessica running to Trish after a long time away, coming to her as a last resort. The series chronicles the return of their deep bond, an unquestioned sisterhood that truly is the best thing about strong friendships between women. there ever was one.) No one slammed her around for being a ‘girl’. She was great at her job, and in fact, she even brought to life the many stereotypes associated with male noir detectives: hard drinking, bitter, wise-cracking. But instead of shutting herself off from help and companionship the way many of those heroes do, she opens herself up to help. And it’s not from a male hero. From personal experience, I’ve learned that it’s those friendships that really define you, that have saved me when things are going badly. Jessica brought that to life. And for that, among the many, many other things that I’ve breathlessly mentioned here, I am madly in love with her. Damn you Netflix. Now I have to wait a year to see her again. Warning: Spoilers for Watchmen and Before Watchmen: Ozymandias ahead. There’s no graphic novel/comic book character who has impressed me or made me think as much as Ozymandias (Adrian Veidt) from Alan Moore’s classic, Watchmen. As a power hungry, megalomaniac figure, his type is familiar in the superhero universe. Nor is his ‘damning the world for its own good’ an entirely new concept—what makes the difference in his case is that, unlike many of his fellow antiheroes/straight-out villains, Ozymandias’s scheme, so far as we can see, is successful. I read Watchmen close to two years ago. The experience was, to say the least, unsettling. Moore’s novel has been called many things: a ‘tour de force’, a ‘masterpiece’, ‘gritty and realistic’ and a ‘watershed’ for superhero comics. It portrays a close-to-realistic universe, New York during the height of the Cold War, where scientists watch a ‘doomsday clock’s’ minute hand move closer and closer to total destruction. The United States government has hired the services of two ‘vigilantes’: a sociopath who calls himself the Comedian (a sort of deranged Captain America type) and Dr. Manhattan, an omnipotent being whose quantum powers have been bestowed upon him by a (wait for it) scientific experiment gone wrong. In a world of rising suspicion and fear of nuclear holocaust, one retired vigilante takes it upon himself to ‘save’ humanity by creating a faux war and, regrettably, losing a few million lives in the process of saving the whole. I suppose it’s not very surprising that I ‘fell for’ this character the moment his scheme became clear. Not only is he power hungry and super intelligent, but he also confesses to having found the inspiration for his scheme in classic science fiction. I also love those corny scenes where the villain explains his ultimate agenda, though they usually end in the hero besting said villain and ensuring that agenda never gets fulfilled (and I do have a well-known soft spot for charming megalomaniacs, like Blair Waldorf and Magneto). 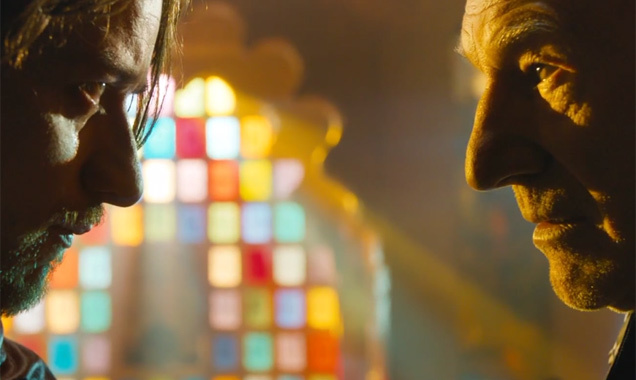 In Ozymandias’s case, the ‘heroes’ (always a questionable term where Moore is concerned) realize there is nothing they can do to foil his plan. What’s the point of telling an already panicked world that a well-known businessman, the ‘smartest man in the world’, is terrorizing them in order to achieve peace? Yeah, no one would buy it. At the close of Watchmen, the remaining superheroes are divided. Nite Owl and Scarlet Spectre II have taken off to try and eke a normal life together, gathering their scattered and damaged selves in a mutually supportive relationship. Rorschach is dead, Dr. Manhattan has taken off to outer space, unable to care any longer for the ‘microcosm’ that humanity constitutes; and Ozymandias is staring, teary eyed at his own success, watching as channel after channel broadcasts the devastation his crazy scheme has wreaked in New York City. In a world as grimy as the one Watchmen portrays, Ozymandias is a scarcely believable idealist. This is a world where the ‘heroes’ have lost faith, where they’ve, one by one, been hunted into darkened, rat-infested corners and, where they’re not killed out of hand, withered away in cynicism. 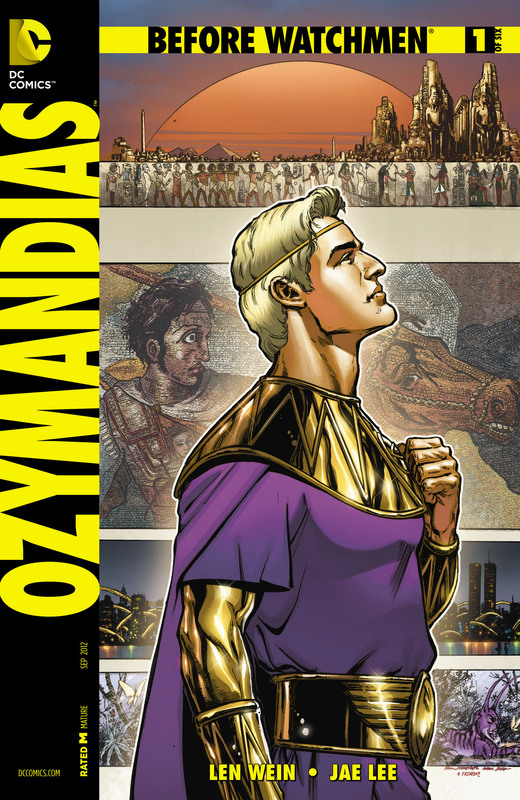 Ozymandias, arguably, has a much more privileged background than any of his fellows, being from a well-to-do family and then, after years of self-inflicted hardship, rising to become one of the richest men in the world. He seems a reimagining of Bruce Wayne and Tony Stark, both billionaires who invest their time and energy in making the ‘world a better place’ in their own way. Unlike them, Ozymandias is not content to fight local crime in hand-to-hand combat. The ‘smartest man in the world’, his vision is much more universal. 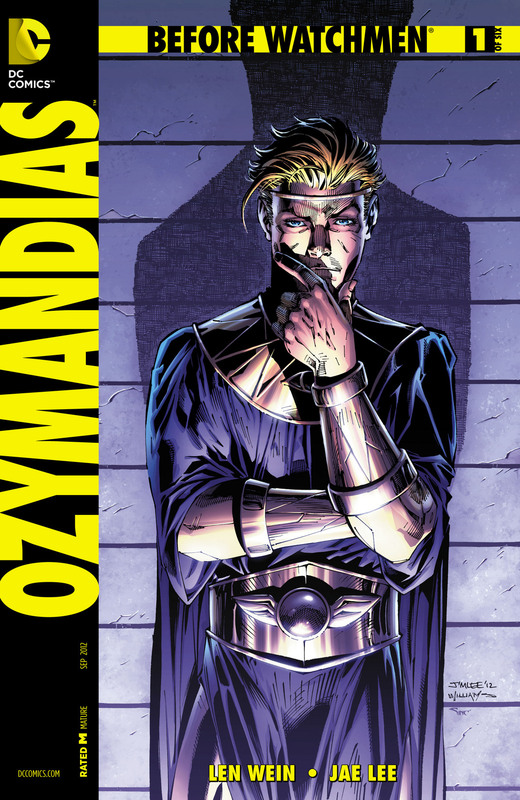 Ozymandias combines the skill set of Bruce Wayne (and the assets) with the benevolent dictatorship espoused by a figure like The Avengers’ Loki. Like Wayne, he is a loner, a recluse who hides aspects of himself and his final plan from everyone. Fittingly enough, according to the non-Moore written prequel Before Watchmen: Ozymandias he takes up crime-fighting in order to avenge the loss of his lover, Miranda. After Miranda, his relations with women (and people in general) seem few and far between, surface at best. Alexander the Great, the near-legendary warrior king who conquered most of the then known world at the age of 33. As the alleged ‘smartest man in the world’, he believes he has a duty to helping humanity, to guide it towards a better future, one not wracked by petty conflict and ensuing misery. Like Loki, he believes that taking the freedom of choice and knowledge from his ‘herd’ is a good thing, and only helps humanity. Unlike Loki, he is doing this not to obtain open and obvious power. The world does kneel to Adrian Veidt, but it does not know it. Interestingly, I think Tom Hiddleston might have done a great job as Ozymandias. He gets that tortured genius thing so well. 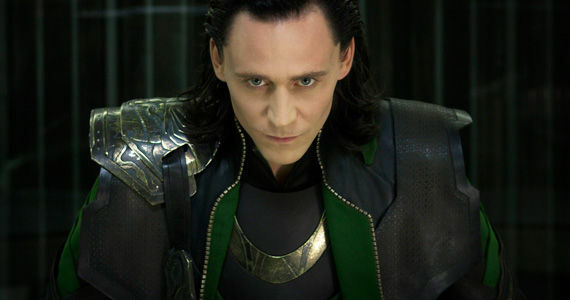 Then again, I think Tom Hiddleston could do great in most roles. The superhero universe is filled with characters who are driven, ruthless, charismatic and romantic. Ozymandias has all these qualities. But Ozymandias towers above his fellows, in my opinion, because he owns his power and potential in a way that many don’t. He has an almost inhuman sense of duty, one that flogs him on to devastating acts. He is both so in love with humanity and thoroughly disgusted by it. He is the worst kind of sociopath—one who believes that everything he does is for the ‘greater good’. Albus Dumbledore couldn’t match up to this guy, Elder Wand or no. Is Ozymandias a hero or a villain? He is both. Moore intertwines his story with that of the tortured castaway from the Black Freighter, a man who damns himself and all those he loves out of his own despair. Watchmen’s narrative ends before we can find out the long-term effects of Ozymandias’s scheme, so we don’t know whether he did wreak more evil than good, but perhaps the story is an indicator, from Moore, of where things will go. Ozymandias is the smartest man in the world, but his very name indicates eventual ruin. After all, it’s the name given to the statue of king, fallen in a desert and scoured by the sand.